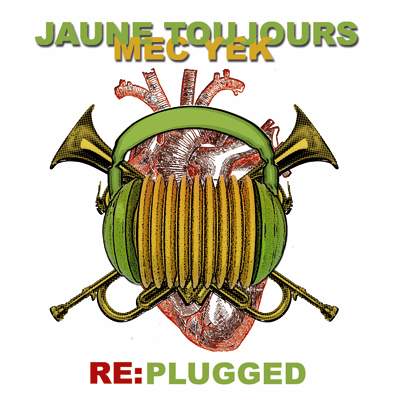 Jaune Toujours and Mec Yek as you've never heard them before! RE:PLUGGED features remixes by Gaetano Fabri (B), Tagada (F), Buscemi (B), No Luck Club (CAN), Scratchy (UK), Shazalakazoo (RS), Superstereo (HU) and Turntable Dubbers (B). To top that: surprising versions of Jaune Toujours' culthit ICI BXL by the winners of the Vi.be remix contest. File under World Beats & Balkan Mash-up.